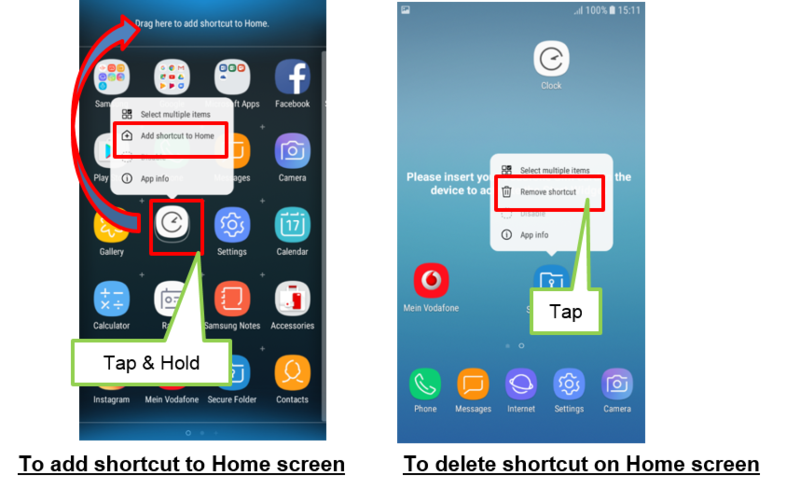 [Galaxy J series 2017] How can I add shortcut to Home screen or delete shortcut? “Add shortcut to Home” option. Alternatively, drag icon to above space to add shortcut on Home screen. [Galaxy J series 2017] How do I add widgets to the Home screen? [Galaxy J series 2017] How do I add/remove applications in Secure Folder?